Yesterday, September 5, 2013 at 7:38 AM Eastern time, the moon aligned with the sun in the astrological sign of Virgo. Of course this alignment is what happens when we have a new moon every 29 days or so. And whether or not you “believe” in astrology, there is no denying that the moon in its tracks and phases across our night skies has a profound influence on the planet and us. I pay close attention to the movement of the moon; I enjoy correlating its movements with its influences. 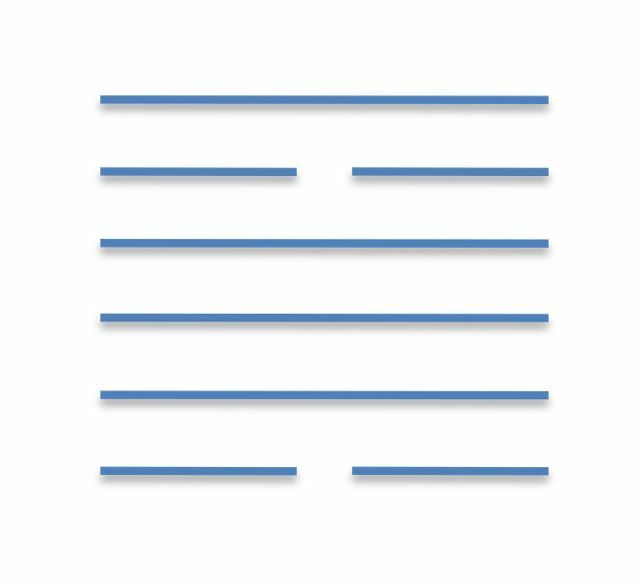 If you have been following this blog for a while you know that on each New Moon I cast an I Ching Gua, a 6-line hexagram of either solid (yang) or broken (yin) lines. There are 64 possible arrangements of these 6 lines into Gua. And there are many books and guides to assist in the interpretation of the intelligence contained in these 6-line arrangements. I use The Complete I Ching, The Definitive Translation by Taoist Master Alfred Huang. Its name is Ding, which Master Huang interprets as “Establishing the New.” This hexagram follows a Gua that means “Abolishing the Old.” Essentially the meaning here is a new and stable situation must be established after over-turning the old status quo. For example in the event of a political revolution, as happened in China when the I Ching was codified, a new government had to be established to stabilize and manage the country. So, what does this mean today, for us, and how does it inform the energies and influences we can expect in the coming weeks? Both Rosemary and I have mentioned in our blogs that we are in the process of reviewing and restructuring our businesses. This is very much in line with our recent move and our need to reestablish all our possessions into their new home. In many ways we are “establishing the new” as Ding suggests. And this is certainly what a New Moon calls for. With the turning of the moon it is good to let go of things (objects, parts of businesses, relationships, habits, practices) that no longer serve us. The waning moon time is a great time for “house cleaning.” Then with the arrival of the New Moon it is good to bring in the new and fresh, whether these are ideas, processes, practices and even new things for the household. For the initial Gua all the lines were strong, which means none of them were changing lines. This can be inauspicious because it points to a period of stagnation; there is no forward progress. But I am looking at this as a time for stabilization. I am glad there are no changing lines in this cast; after all the changes of the past month I am looking forward to this period of stability! With this New Moon in Virgo and this particular I Ching divination, are there parts of your life that need to be examined, things to eliminate that no longer serve you, processes or practices that need to be reestablished? This is a good time for this review. The Moon’s energies and the energies of this time will support you through “establishing the new”!